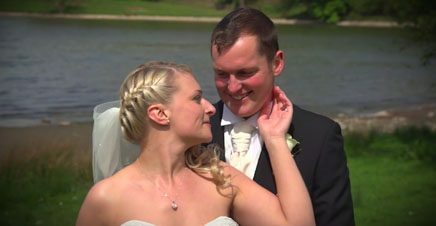 A breezy and sunny day proved just the right setting for the wedding of Laura and Craig. The intimate ceremony took place at the Coniston Hotel in Gargrave, near Skipton leading to celebrations throughout the day. Special thanks to Laura, Craig and their families and guests for making me feel welcome and allowing me to create a wedding video of this very special day. Also thanks to the staff at The Coniston Hotel who always can’t do enough to help.